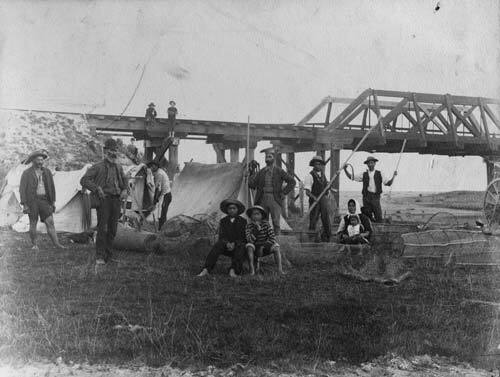 At this Māori eeling camp beside the Washdyke Creek and lagoon, around 1900, men are holding matarau for spearing eels. The hīnaki (eel pots) to the right were laid with bait in the creek behind. Two European boys watch proceedings from the railway bridge.